Welcome to Lupo Academy. We offer dog training classes and 121’s. Get ready to experience practical, positive, relationship focused learning that provides lasting results! My name is Tracey, I share my home with Milo my Staffordshire Bull Terrier and Cici my Dobermann. 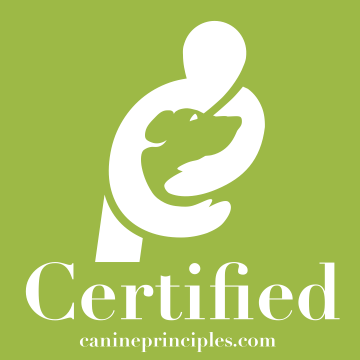 I have 7 years’ experience in training dogs and as the dog training industry is unregulated my own peronal development is something i take seriously. I have a diploma in canine coaching, have completed the Think Dog courses run by Sarah Whitehead, advanced dog trainer via the APDT (Association of Pet Dog Trainers) the FFTT (Force Free Trick Trainer) and have attended many courses held by Victoria Stilwell, Chirag Patel, David Ryan and the IMDT (Institute of Modern Dog Trainers) I am also an accredited Mantrailing Instructor and a member of the PPG. the best training advice and experience possible. 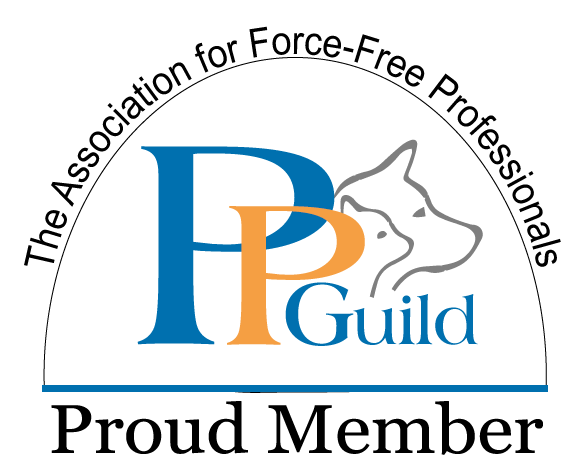 These courses are run in your own home and are perfect for puppies that have not yet had their vaccinations, so are unable to go outside. 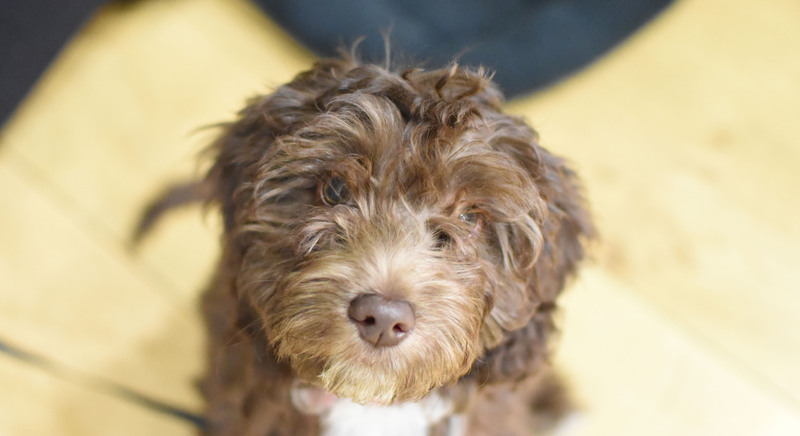 We go over how managing your puppy at this early stage prevents problems as they grow. 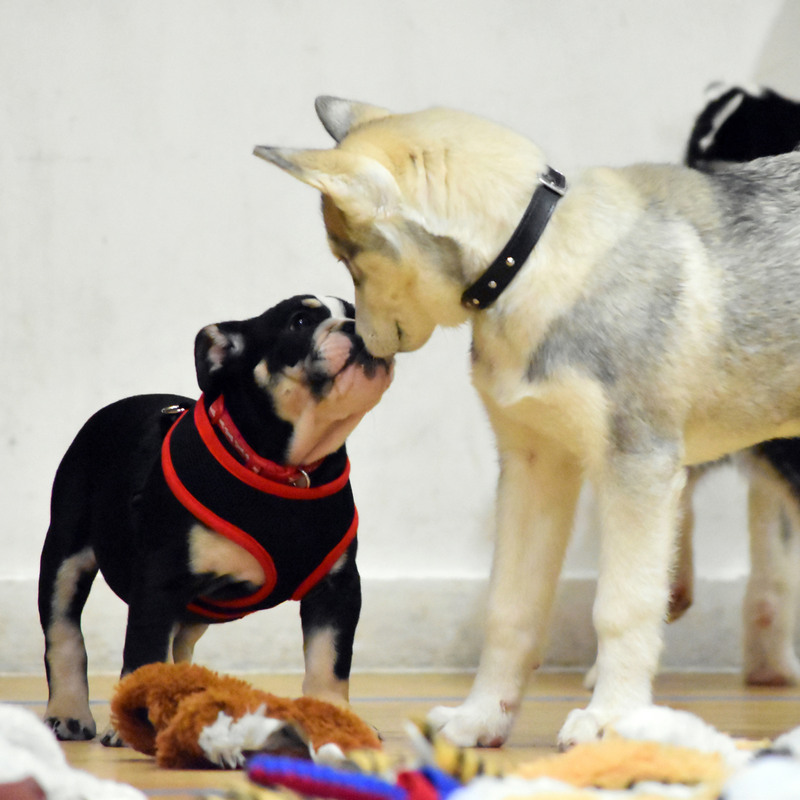 We cover toilet training, mouthing, chewing, crate training and many other subjects that may worry you and your puppy. 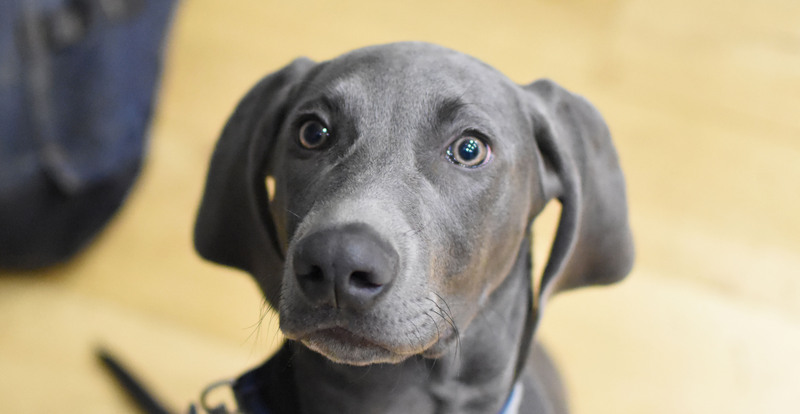 We will cover the following:​ How to redirect your puppy when biting, appropriate play, how to prevent resource guarding, polite greetings, 4 paws on the floor, lead walking and recall plus lots of other fun and engaging games to help keep your pup focussed on you in the big wide world. 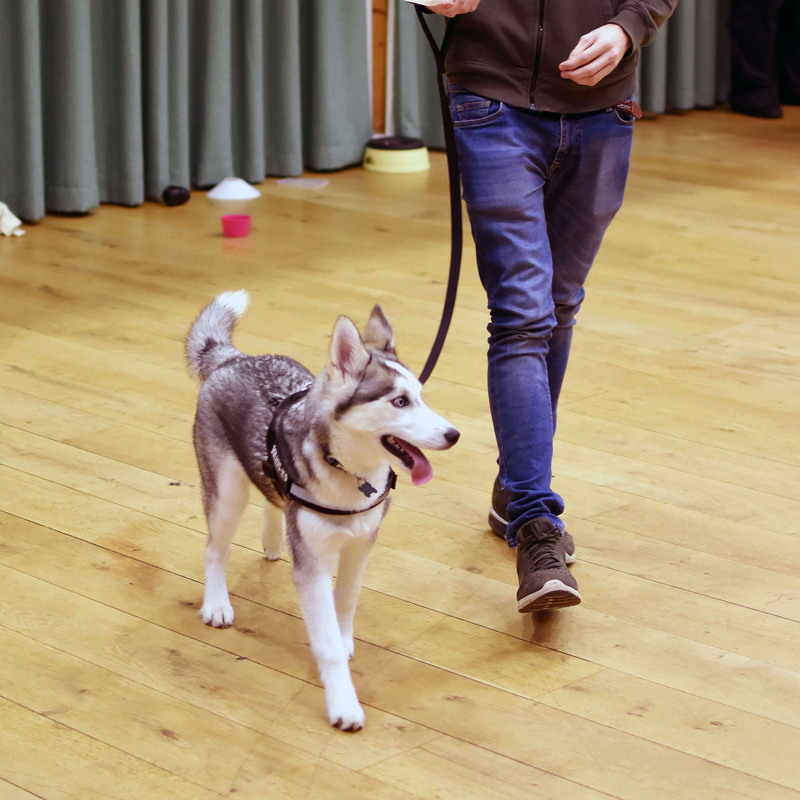 We offer a structured, fun 6 week course where you and your dog will learn how to work together as a team, you will learn how through positive and fun training you can communicate with your dog. Each dog learns differently and has individual needs. Our creative training methods allow us to progress with every dog at their own speed and capabilities. We will even throw in a few tricks. Every dog should have a few tricks up his or her sleeve! Platform training is a brilliant, fun way to teach your dog body awareness as well as reinforcing obedience positions. Dogs love platforms, it builds confidence and you can have a lot of fun on them. So what are platforms? A platform is just a raised surface that your dog stands, sits or downs on, because we highly reinforce them, dogs become magnetised to their platform. We then remove the platforms and build on the behaviour. This 6 week course will start from the basics, getting your dog used to the platforms, we will work on many different behaviours as well as some tricks. Classes will be small, a maximum of 6 dogs per course. Cost is £75 for the 6 weeks. Platform Training and Clickers work really well together so if you have a clicker bring it with you, if not don't worry as I have plenty! Come and learn how to improve your basic cues, get better precision, add distance control, gain impulse control and improve focus. This course is suitable for all dogs young and old. It is perfect for agility and obedience fans. This is a great opportunity to have fun and continue your training. But I must warn you, training on platforms becomes pretty addictive!! Trick training is awesome fun for both dog and owner. During classes you will learn how to teach a variety of tricks, we have 3 levels for you to work your way through, including fetch your lead, cross your paws and skateboarding! You will learn the foundation of how to train your dog tricks, how to break down complicated tricks into specific parts and how to put individual pieces together to complete a trick. Once you understand how to train tricks, the possibilities are endless as to what you can teach your dog. 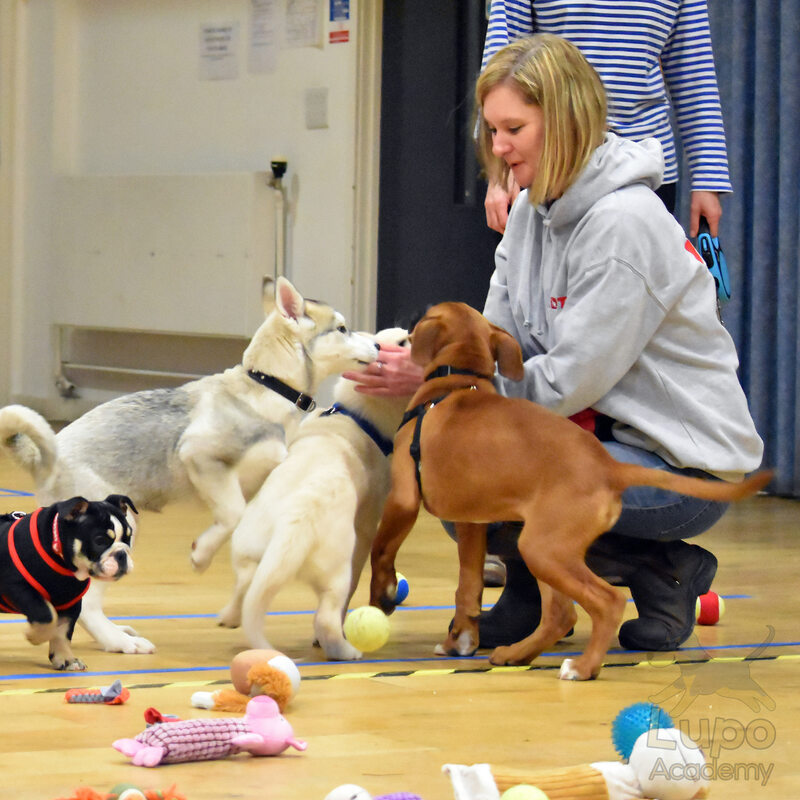 121 Dog training is available in Basingstoke and surrounding areas for £50 - one session at home lasting approximately an hour and a half, more than one session may be needed depending on the problem you are experiencing. Hoopers follow on course - we build on the basics learnt on our foundation course and take you to the next level of fun! Relationship first games for dogs. There are 4 areas and 3 levels for each area. Absolutely brilliant trainer. Would highly recommend. My dog loves Tracey and her training techniques are brilliant. Really enjoying our training classes and the 1-2-1 sessions are invaluable. Thank you Tracey. I can't recommend Tracey and her team enough! We look forward to going every week, it's so much fun. Everyone is friendly and helpful. We have learnt so much in training, the most valuable lesson was recalling a [whippet] puppy and how to make it fun for them. We've done the puppy classes and currently doing the adult beginner and looking forward to doing some more. Tracey is so friendly and kind. didn't think we'd be able to change things with our lab, but she has given us the ammunition to make things right and give our pup the best chance of life. Thank you!! 121 with Galahad... we have lots to learn but Galahad wanted to do anything Tracey asked and was rewarded for getting it right, there was lots of jumping and drool, Tracey had Galahads usual dribble baths and him being his usual hooligan self, but he soon got the gist of what was wanted from him and I now know what I need to do to get what I want from my lovable oaf! It was great to learn for myself and Galahad. Thank you !!!! 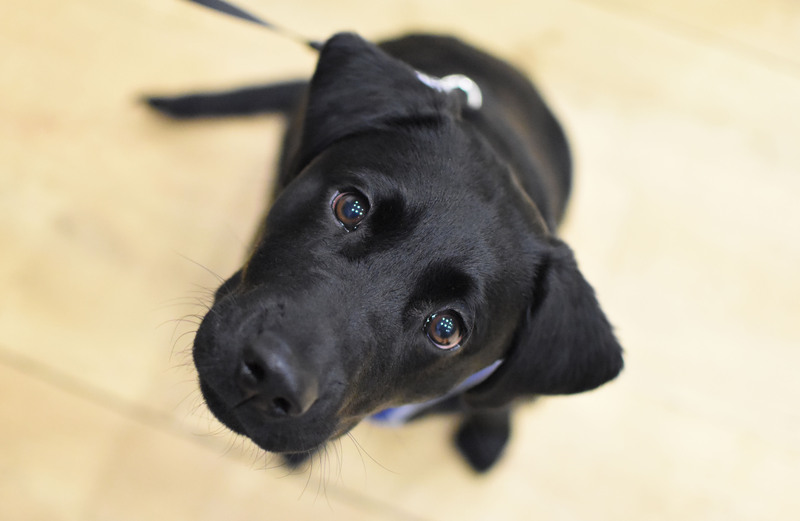 When it came to puppy training, we’d already watched videos, read pieces and listened to friends but having the support of Tracey to train Sherlock has been absolutely invaluable! 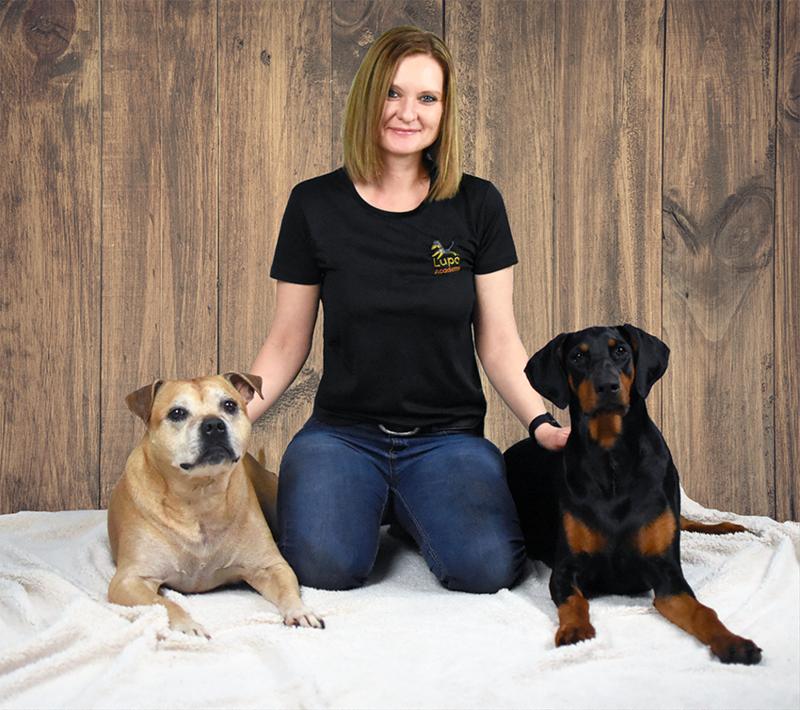 She’s just brilliant with both the dog and owners, patiently helping you to help your dog. We’re so glad we found Lupo Academy, the difference Tracey has made has been instant. Brilliant kind reward based training advice on how to help our rescue Staffie not be scared/anxious/ nervous around strange dogs out and about. Would highly recommend and my boy enjoyed the 121 as much as we did. Thank you , I’m sure we’ll be seeing results a lot sooner now we know what to do. Tracey is absolutely brilliant done classes with her and doing one to one’s with her with my Rottie. She has got such a kind calming way about her to make you and your dog work well together and to get the best out of your dog you can. Would highly recommend Tracey and her classes. A home visit - all my questions were answered, friendly and helpful advice, and a dream visit all round! I received advice for my yappy pups and how to train them to walk better on a leash, better greeting with people, and obedience training. All in the space of an hour and a half! Would recommend, absolutely amazing help and instant results! Check your junk folders as our emails sometimes end up in there! How Did You Hear About Lupo Academy?